Aaron Hernandez hangs self in prison? Did spilled drink lead to 2012 killings? Convicted murderer and former NFL star Aaron Hernandez was found hanged in his Massachusetts prison cell Wednesday morning, officials said, just days after his acquittal in a double murder case. The 27-year-old former tight end for the New England Patriots hanged himself with a bedsheet attached to a window in his cell at the Souza-Baranowski Correctional Center in Shirley, the Massachusetts Department of Correction said. His body was discovered at 3:05 a.m.
“Lifesaving techniques were attempted on Mr. Hernandez, and he was transported to UMass Leominster, where he was pronounced dead at 4:07 a.m.,” the correction department’s statement reads. Aaron Hernandez, seen here in court in 2013, was convicted in 2015 in the murder of Odin Lloyd. Hernandez, who was serving a life sentence, was alone in his cell in a general population wing and had “attempted to block his door from the inside by jamming the door with various items,” the statement reads. The Massachusetts State Police are investigating his death. The Office of the Chief Medical Examiner is conducting an autopsy to determine the cause and manner of death, the Worcester County district attorney’s office said. Jose Baez, an attorney for Hernandez, has been retained by the athlete’s family to investigate the circumstances surrounding his death and will act as the executor of his estate, according to a statement from Baez. “The family and legal team is shocked and surprised at the news of Aaron’s death,” Baez said in the statement. “There were no conversations or correspondence from Aaron to his family or legal team that would have indicated anything like this was possible. His death marks one of the most dramatic falls from grace by an athlete in recent memory, and comes the same day that many of his former teammates visit the White House as Super Bowl champions. 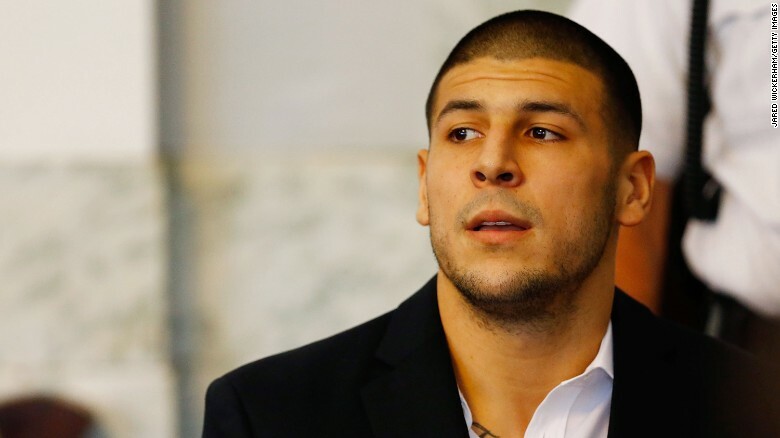 Hernandez’s life sentence was for his conviction of first-degree murder in the 2013 killing of Odin Lloyd, a semipro football player who was dating the sister of Hernandez’s fiancée. A jogger found Lloyd’s gunshot-riddled body in a Massachusetts industrial park less than a mile from Hernandez’s home on June 17, 2013. Hernandez was charged with murder nine days later, and the Patriots released him. He was found guilty in April 2015 and sentenced to life in prison without the possibility of parole. “This is a shocking and sad end to a very tragic series of events that has negatively impacted a number of families,” said Bristol County District Attorney Thomas Quinn, who prosecuted the Lloyd case. In May 2014, prosecutors charged Hernandez with two murder counts in the July 2012 deaths of Safiro Furtado and Daniel de Abreu, two men who were killed in a drive-by shooting outside a Boston nightclub. Hernandez was found not guilty Friday of two counts of murder in that case, though he was convicted of illegal possession of a firearm. Hernandez grows emotional after his acquittal Friday in a double murder case. 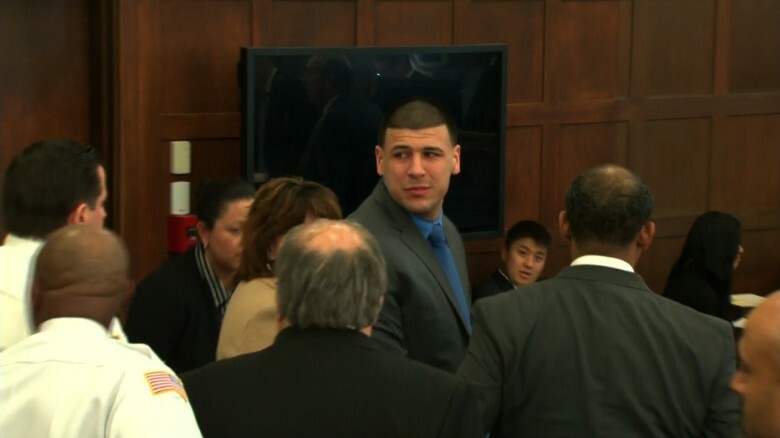 Hernandez was visibly emotional when Friday’s verdicts were read, embracing his attorneys. With the acquittal, Hernandez’s attorneys had turned their attention toward appealing for a new trial in the Lloyd case. As recently as Tuesday, Baez said he was optimistic about getting that case overturned. “Knowing what I know about Aaron, and knowing Aaron, there’s a good chance that perhaps we can get that reversed,” the lawyer told CNN then. Hernandez’s arrest cut short what had been a promising football career burgeoning on stardom, beginning in his hometown of Bristol, Connecticut. From there, he caught passes from Tim Tebow at the University of Florida and was a key contributor to that team’s 2008 national championship. Hernandez then became the first Gator to win the John Mackey Award, given annually to the NCAA’s best tight end. But Hernandez was dogged by allegations of failed drug tests and was picked by the Patriots in the fourth round of the 2010 NFL Draft. Still, with future Hall of Famer Tom Brady throwing to him, Hernandez shined for New England. The Patriots rewarded him in 2012 with a five-year contract extension worth up to $40 million. In all, Hernandez spent more time in prison than on the field with the Patriots. Stacey James, a spokesman for the Patriots, said the team was aware of the news but did not anticipate any comment. Mike Pouncey, a teammate at Florida, posted a photo of Hernandez on Instagram and said they had just talked to each other the day before. Hernandez is survived by his fiancée, Shayanna Jenkins-Hernandez, and their 4-year-old daughter. As Hernandez waited last week during jury deliberations, he waved and blew kisses to his daughter in the courtroom.